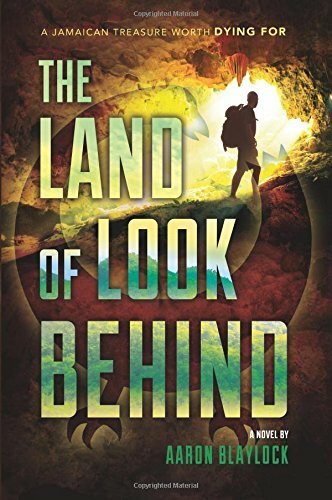 When Gideon, a former missionary, discovers a mysterious drawing tucked in an ancient journal he returns to Jamaica with dreams of finding a centuries old treasure. He quickly learns there are those who would kill to keep the treasure secret. This thrilling adventure takes you deep into Jamaica's treacherous cockpit country and back in time for a spine-tingling mystery you won't be able to put down. The idea behind this book intrigued me. Mystery, intrigue, running for your life, all of the things that I enjoy in a book. First off, the not-so-good: The author uses a lot of patois, which is the slang-speak used in Jamaica. Now, this makes sense, due to the fact that they are in Jamaica after all, but it was really hard to follow the conversations that the characters were having, and I found myself having to read each sentence a few times before I could get it. That was a bit distracting from the story. I eventually got used to it and was able to read those conversations easier towards the end of the book. I also would have liked to have an explanation on why it's called the cockpit country, but I suppose I can Google that. I never would have guessed what the mystery ended up being in this book. It completely took my by surprise, but it was a pleasant one.